Consolidating and strengthening the protection and management of the Abrolhos network of marine protected areas (MPAs) and extractive reserves and to serve as a model for improving marine conservation and fisheries management in Brazil and beyond. The marine biodiversity in the South Atlantic Ocean reaches its maximum level in the Abrolhos region. Seasonal populations of humpback whales to there to mate and give birth. It harbors some of Brazil's most important seabird colonies, extensive coral reefs, and several species of the world's most threatened sea turtles (see details in "In Depth" seciton, below). Almost all of the South Atlantic's commercially valuable species of reef fish can be found in the region, including several large threatened predatory fish. The mangroves of Abrolhos serve as fish nurseries and provide shelter for marine animals. The rich biodiversity of the Abrolhos Bank is threatened by over-fishing, sedimentation (from coastal deforestation), shrimp farming, and possible oil and gas exploration. The developing Abrolhos Marine Protected Area (MPA) Network offers a solution and we have partnered with Conservation International-Brazil, whose involvement is crucial to optimizing this important opportunity. Mapping and surveying of the Abrolhos Bank led to the discovery of large areas of unmapped reefs and other important marine habitats. This established the need for expanded reserve boundaries, and systematic conservation planning is underway for the expansion of the Abrolhos MPA Network. Biological monitoring demonstrated the positive effects of no-take reserves on fish biomass within the reserves as well as the spill-over effects to surrounding areas. Our efforts contributed to the creation in 2009 of the Cassurubá Extractive Reserve Reserve and agreements for its expansion in 2013, protecting vital nursery sites for many of the region's fish species. Our input was also vital in helping the local community decide to reject a proposed large-scale shrimp farm that would have had a very adverse impact on coastal habitats. Our work has helped identify socioeconomic alternatives to improve livelihoods. Project staff maintain ongoing consultation with local fishing communities regarding the benefits of the marine protected areas and strategic planning for expansion. They have also served alongside local community members in deliberative councils for co-management (with government) of new marine extractive reserves. 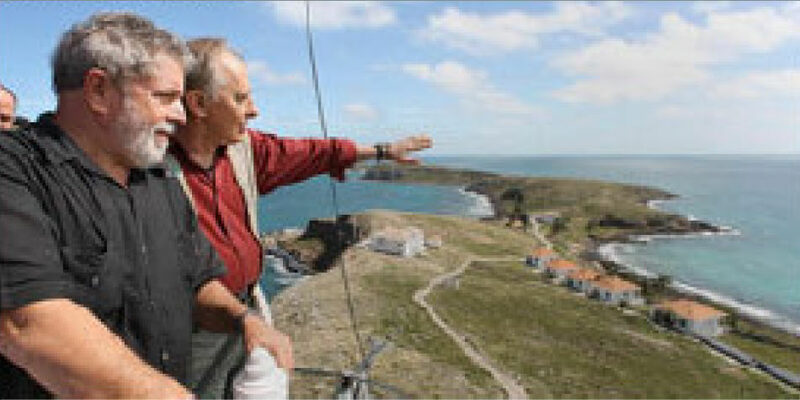 Campaigns at the national level have also built wider support for marine protection. Our partner in this program was Conservation International (CI), with project director Guilherme. ICFC was responsible for about one-fifth of the entire project work for the period 2007-2010 and supported about one-quarter to one-third of one component of the work from October 2010 to 2013. The marine biodiversity in the South Atlantic Ocean reaches its maximum level in the Abrolhos region. Seasonal populations of humpback whales go there to mate and give birth (and to nowhere else in the southern Atlantic). It harbors some of Brazil's most important seabird colonies, extensive coral reefs, and several species of the world's most threatened sea turtles (Table 1). Almost all of the South Atlantic's commercially valuable species of reef fish can be found in the region, including several large threatened predatory fish (Table 1). The coral reefs are the most distinctive characteristic of the Abrolhos region, with high rates of endemism: approximately 50 percent of Abrolhos coral species and 20 percent of reef fish species are found nowhere else in the world. The unique reef type of Abrolhos is locally known as "chapeirâo" and rises more than 75 feet from the ocean floor, with mushroom-shaped pinnacles up to 150 feet in diameter. Reefs also include fans of fire coral and round knobs of brain corals, also unique to Abrolhos Bank. The mangroves of Abrolhos serve as fish nurseries and provide shelter for marine animals. Table 1: Threatened vertebrate species found in the Abrolhos region, with IUCN Red List designation. The biodiversity of the Abrolhos Bank is threatened by over-fishing, sedimentation (a result of coastal deforestation), shrimp farming, and possible oil and gas exploration. Because of limited regional regulations, fishers from outside the region have been able to over-exploit local fisheries, and communities have witnessed a decline in important and valuable species. Commercial fisheries have increasingly threatened the region's ecosystem, decimating predators at the top of the food chain, such as sharks and groupers. Also at risk are local mangrove ecosystems, the Abrolhos Bank reef systems, and the future livelihoods of thousands of coastal community families. A developing marine reserve system started with the Abrolhos National Marine Park (Parque Nacional Marinho Dos Abrolhos) in 1983 and has been expanded to include three carefully managed "Marine Extractive Reserves": Canavieiras (2006), Corumbau, and, most recently, the Cassurubá Marine Extractive Reserve. This network of marine reserves is the first of its kind in Brazil and will serve as a model for marine conservation. Nearly 20,000 families make a living from traditional fisheries in the Abrolhos region and they are becoming important conservation partners as they come to understand that marine protected areas are an effective tool for fisheries recovery. MPAs are designated and regulated by the Brazilian government, which has responsibility for enforcement, however Brazil is unable to commit sufficient resources to the work encompassed by this project. Hence the need for the involvement of non-governmental organizations to work in collaboration with the Brazilian government and local communities. Conservation International's work in Brazil that demonstrated, importantly, that co-management by communities and government of marine resources through marine extractive reserves has considerable potential to secure the future of the economically and socially important small-scale traditional fisheries of Brazil and other countries. CI's efforts resulted in the establishment of the Corumbau Marine Extractive Reserve, which protects 89,500 hectares of coral reefs, island communities, and surrounding habitats. CI helped design the Reserve's management plan in partnership with local fishermen, introducing the concept of no-take areas within a multiple-use zone. The effectiveness of this approach was evident when fish density doubled inside the protected area. Because of this, and because Reserve council members from local communities agreed on the zoning plan, fishermen became committed to complying with fishing regulations and respecting no-take zones. 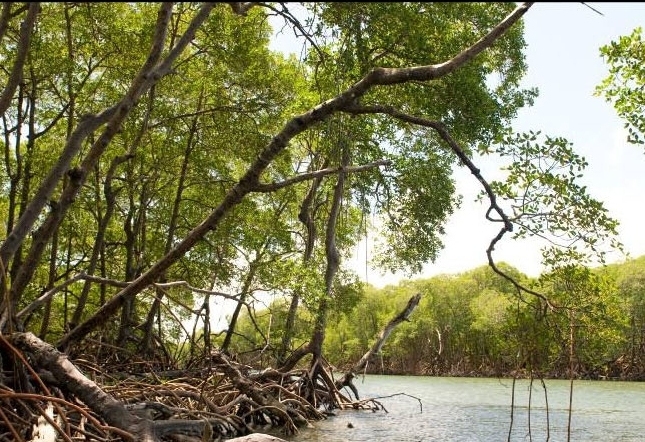 Neighbouring communities of Caravelas and Nova Viçosa requested that CI and the government help them establish the Cassurubá Extractive Reserve in the largest mangrove forests of the region. CI and partner universities conducted the needed biological and socioeconomic surveys needed for the new reserve; CI also helped with the required public hearings, and the reserve was declared in June 2009. This short video (4:29 min.) was made by our project partner, Conservation International. promoting a system for long-term finance of the Abrolhos MPA network and making recommendations regarding the establishment of other MPA networks in Brazil. In the period 2007 to 2010, ICFC was involved in all these components, in partnership with CI and others. [testing: small] Between October 2010 and 2013, we focused on laying the groundwork for expansion of the Abrolhos MPA network, which we consider of great importance and amply justified based on current science. The chief aim of the expansion is to protect newly discovered coral reefs, calcareous algae bank and other important habitats. This is a complex process involving technical analysis, meetings with government agencies, and public consultation. Our Brazilian partner is optimistic that the expansion will eventually take place, now that the foundational work for its support has been completed. In 2007, mapping of the Abrolhos Bank using a side-scan sonor resulted in the discovery of large areas of unmapped reefs and other important marine habitats in the Bank. These reefs are important for biodiversity and fisheries maintenance, as the fish biomass observed there is nearly seven times higher than in (the already protected) Abrolhos National Park. By mid-2008 it was evident that the size of formerly unmapped reefs is actually several times the area of known reefs. This established the need to expand the Abrolhos MPA network in order to protect these habitats. [testing cited work]. In 2008, the habitats were surveyed in partnership with Sao Paola University using scuba divers and a remotely operated vehicle (ROV), which produced more detailed habitat/biological information. In addition, underwater biological monitoring was conducted with the help of four students from the University of Bahia, including a visual fish census and collection of coral cover samples. In 2009, further surveys focussed both on the newly discovered reefs and on a large calcareous algae bank, which appears to represent an enormous carbon bank and as such, a key habitat to protect in relation to climate change mitigation. Information was collected from 2007 to 2009 on the distribution of the fishing fleet along the Abrolhos Bank and the port of origin and fishing methods used by fishing vessels. This information is feeding into the evolving fisheries management system. Maps of the shrimp fishery activity revealed that this is located relatively far from coral reefs, which can be impacted by fishing. We conducted biological monitoring during the summer seasons of 2008-2010, comparing areas with different management regimes inthe Abrholhos Bank. Done in collaboration with the University of Paraíba, this large field efforst involved 1,800 coral cover samples and 900 dives and many visual fish censuses. This information is being thoroughly analyzed. In 2010, systematic conservation planning began for the expansion of the Abrolhos MPA Network. The expansion is necessary for a fully functioning and robust MPA network to reduce threats to the region's biodiversity. Data from CI and academic colleagues was pooled for analysis using MARXAN software, which aids systematic reserve design (and was developed for conservation zoning of the Great Barrier Reef Marine Park in Australia). This work provided scenarios for the expanded MPA system, identifying key conservation areas and the most cost effective approach for their protection. A technical report was finished and presented to the Ministry of Environment in April 2011, emphasizing the newly discovered habitats. This led to further analysis to include additional layers in the proposal, such as sustainable use protected areas, and areas for ports and navigation, in order to reduce conflicts by the opposing sectors. In 2013 a reworked proposal was developed using state-of-the-art Marxan-Z software. This proposal is under consideration, and our Brazilian partner is optimistic that the expansion will be improved. Work began in late 2007 on meeting with local fishing communities to discuss and explain the benefits of the marine protected areas system, strengthen their formal association processes, and identify socioeconomic alternatives to improve the livelihoods of communities from the Extractive Reserves. Project personnel serve alongside local community members in deliberative councils through which local communities are involved in co-management of the new marine extractive reserves. We also organized an exchange program through which knowledge accumulated by different communities is shared. In 2010, studies were completed on alternatives for increasing the income of local fishermen in Cumuruxatiba, the largest community in the Corumbau Extractive Reserve and as a result work is underway to develop new marketing arrangements. In 2013, discussions with fisherman and others prompted initiatives to expand the extractive reserve. In 2011, four workshops focused on the MPA expansion were conducted with researchers, NGOs and fishermen. The meetings were exceptionally productive and all stakeholders agreed on potential boundaries for the new MPAs. All the stakeholders in the region have now been informed about the proposal, and the Abrolhos National Park Management Council was formed as a means to centralize and communicate the next steps of the process. In 2008, a series of presentations were made at local communities in which key scientific results were presented (using simplified language). Nearly 270 fishermen took part, benefitting from an increased understanding of their local biodiversity. Our team continued their involvement in the local councils of all the MPAs in the region. Students from local communities were trained for work in fisheries monitoring (interviewing fishermen and inspecting their catch as they disembark at ports) and disseminating key information to local communities, an "informal channel" that has proved highly effective in involving communities. Some of the work with local communities focused on the development of economic alternatives to help reduce the over-exploitation of natural resources. Our field leader has explored ways of adding value to products from the marine extractive reserves and developing ecotourism. One outcome is that a project was developed to improve conditions for stocking and transportation of crabs and marine shrimps and to create a certification system for quality and origin, which could serve as a model for other extractive marine reserves. In addition, an economic viability study pointed to the potential of the lutjanid fishes, caught with line gear, in the two biggest communities of the reserve, information that our socioeconomic coordinator is taking to those communities. 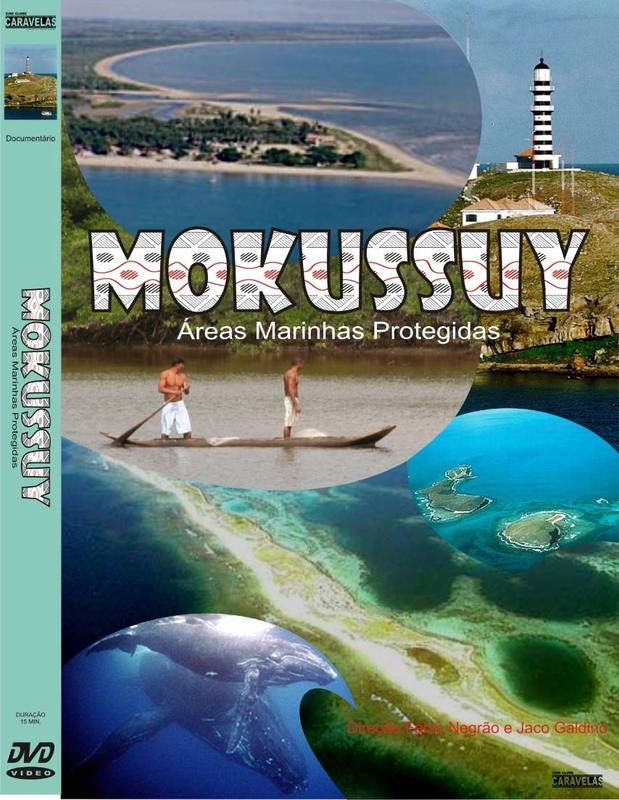 In 2009, an entertaining video (Mokussuy; "fish" in the Pataxó Indian language) was produced that features interviews with local fishermen and others saying why they think the marine protected areas and marine extractive reserves are beneficial to the local fishery and community, as well as "experts", notably our project personnel. Launched in January, 2010 the video (viewable on YouTube) has been shown to local communities throughout the region. 2009 was a busy year for our exchange program, with representatives from the different extractive reserves meeting to discuss common problems and solutions and develop an integrated workplan for the reserves. A series of meetings was held by ICMBio (the Brazilian environment agency) to begin implementation of the Cassurubá Extractive Reserve. Our socioeconomic coordinator worked with local fishermen's associations to develop and submit a proposal for the creation of the reserve council. In 2010, meetings were held to identify local leaders and representatives for the new deliberative council and new partnerships (with ICMBio and NGOs including the Humpback Whale Institute) were forged to help support its development and provide for its public financing. In 2010, studies were completed on alternatives for increasing the income of local fishermen in Cumuruxatiba, the largest community in the Corumbau Extractive Reserve and as a result work is underway to develop new marketing arrangements. In 2011, four workshops focused on the MPA expansion were conducted with researchers, NGOs and fishermen. The meetings were exceptionally productive and all stakeholders agreed on potential boundaries for the new MPAs. A new round of meetings will be held to discuss the final proposal, after it is approved by the Ministry of Environment. Since 2007, relevant scientific and socioeconomic information has been brought to groups and government officials in support of re-establishing the Abrolhos Buffer Zone (and now, instead, the expansion of the MPA network) and creating the Cassurubá Extractive Reserve and additional Atlantic Forest protected areas in the region. Through their participation in MPA councils, our project personnel have communicated our research results and used these to help guide technical decisions for the management of the marine protected areas. For example, the long-term monitoring results of coral cover and fisheries were important as a baseline for the licensing process for dredging activities for a port access in Caravelas. A "Science to Action" workshop in 2008 brought CI together with 25 others from partner NGOs, universities and government to develop a joint communication strategy that has helped guide communications regarding Abrolhos and conservation. President Lula and environment minister Carlos Minc visit Abrolhos National Park, June 5th, 2009. On World Environment Day (June 5) 2009, a signing ceremony took place in Caravelas for the Cassurubá Extractive Reserve, which protects vital nursery sites for many of the region's fish species. In attendance were President Lula, the environment Minister, the Bahia State Governor, and more than 2000 people from the local communities. The 100,687-ha reserve protects mangroves, estuaries and coastal habitats, while the 485,007-ha buffer zone harbors 95 percent of the Abrolhos' mangroves, representing a key nursery site for man fish species of ecological and economic importance. That marked a major achievement. 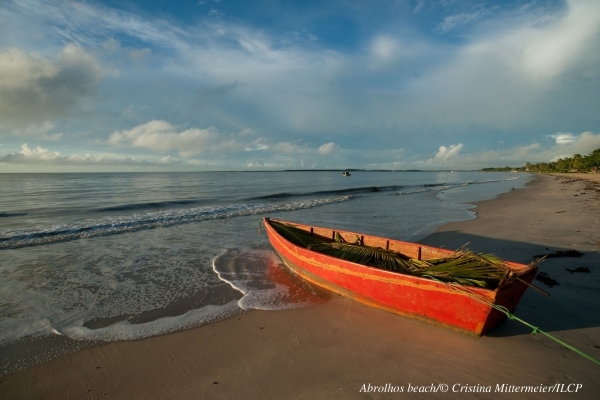 Our input was also vital in helping the local community of the Cassurubá Extractive Reserve decide to reject a proposed large-scale shrimp farm that would have had a very adverse impact on local coastal habitats. The focus in 2011 and beyond has been to promote the expansion of the Abrolhos Marine Protected Area network based on new research and newly discovered habitats. In 2011, we organized meetings to present and discuss proposals with national government representatives in Brasilia, environmental and planning agencies at the state level, and oil and gas companies active in the region. A reworked proposal completed in 2013 using state-of-the-art Marxan-Z software now forms the basis of ongoing discussions with government to further the expansion. Our Brazilian partners continue to stress the strong scientific basis for the expansion, and its urgency, and are confident that it will eventually be approved. The project has included media campaigns to educate the public about the biological, social and economic benefits of marine protected areas, the importance of the Abrolhos MPA network for marine conservation, and the creation of the Cassurubá Extractive Reserve. Other scientific and conservation groups were brought in on these campaigns, which have included television and newspaper coverage. In particular, our team provided scientific/technical support for a 2008 campaign by Greenpeac that called attention to the conflict between oil exploitation and conservation in the Abrolhos region. Particular efforts focussed on the workings of the Deliberative Council of the already successful Canavieiras Extractive Reserve as a good illustration of the potential of this sustainable development model for coastal communities throughout Brazil. Since October 2012, different Brazilian TV channels produced four documentaries to highlight the importance of the Abrolhos region, including National Geographic Brazil. A national campaign with one of the best marketing and communication agencies in Brazil, which was launched in 2013. Project staff worked to estimate annual costs for each component of the marine reserve network to determine the amount of capital (US$13 million) that would be needed for an Abrolhos Trust Fund to support the Brazilians government's role in managing the MPA network. A business plan, with three different fund scenarios, and a fundraising strategy were then developed. The current adverse world economic situation has added to the challenge of identifying donors and implementing the trust fund, but a national communication campaign will be developed and eventually presented to potential donors and to raise the awareness of Brazilian society.